Mr. Sam Lingerfelt, who lived on Mr. Joe Rogers place here, dropped dead last Tuesday, May 19th. Heart failure was the trouble. He had just been home one week from the Cartersville hospital. The family has the deepest sympathy of all the community. Mrs. Mary Jane Lingerfelt, aged 66 years, passed away Monday at her home near White. 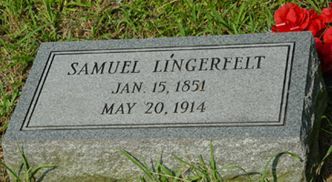 Mrs. Lingerfelt was born in 1862 and was the wife of the late Sam Lingerfelt. She was a member of the Baptist church. Funeral services were held from the Macedonia church Tuesday afternoon at two o’clock. Rev. C.W. Newberry paid a final tribute to the deceased. Interment was at the Macedonia Cemetery. Five sons, Dave, Wesley, Andrew, Charlie and Miles Lingerfelt survive the deceased. Cummings – Long – Owen, funeral directors, were in charge of arrangements. Mrs. Mary Jane Lingerfelt, 69, died at her home in the White district on Monday after a lingering illness. While her death was not unexpected, it came as a great shock to members of family and to her legions of friends. Mrs. Lingerfelt was a member of the Macedonia Baptist Church, and services were conducted there on Tuesday, with Rev. C.W. Newberry in charge. Interment was in the church yard cemetery with Cummings-Long-Owen funeral directors in charge. 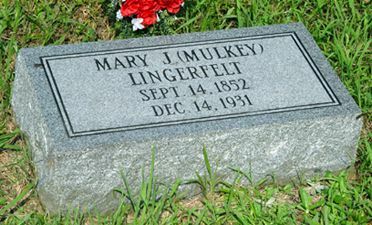 The deceased is survived by five sons, Messrs. Dave, Wesley, Andrew, Charles and Miles Lingerfelt. They have the sympathy of their friends in their bereavement.